Kartik and Naira's life is soon going to take most shocking turn which is going to make Kartik and Naira go against each other. Here Naira has raised her voice against Puru Mama and had put allegations over him. Dadi warns Naira to not take this too far and it can affect their family reputation while Naira is not going to hide this sensitive issues. Kartik is not ready to believe over Naira that Puru Mama can do anything like that and now he will warn Naira. Kartik asks Naira to not repeat it again as she is wrong in this matter and Naira is not ready to listen. 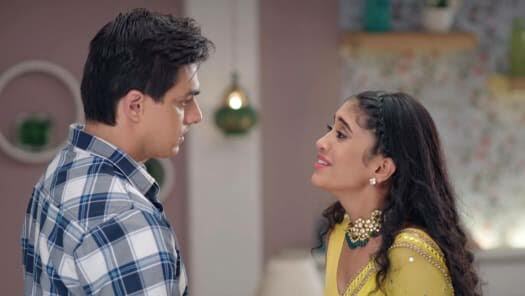 Kartik gives choice to Naira and asks her to choose the love or her revolt against Puru Mama.